So, you have your amazing idea that will change the market as we know it and you think that crowdfunding is right for you. Before taking any further steps, it is important to know the top three common things that always seem present in bad crowdfunding campaigns, so you can avoid them. Everyone has heard of the saying, “failing to plan, is planning to fail”. It’s no different when it comes to crowdfunding campaigns. 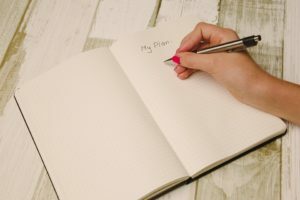 You need to make sure that you plan everything ahead of your launch to ensure there are no surprises that will leave you rushing around moments before game day. Never leave anything last minute. Every successful crowdfunding campaign has been optimally planned ahead of time (just check out our blog post on some of the great Kickstarter campaigns – Spoiler: all of them had great planning). Before launching, you need to fine-tune and develop the story of your campaign. Have all the graphics, images and videos prepared. Design and publish websites and social media accounts to help support your campaign and increase your presence online. Many believe that the most important aspect for campaign success is supporter awareness prior to launch. Most successful campaigns raise much of their funds in the first few days – this is because of a pre-established community of supporters obtained ahead of the campaign’s launch. An aspect that some companies forget to plan for is the practicality of being overwhelming successful. 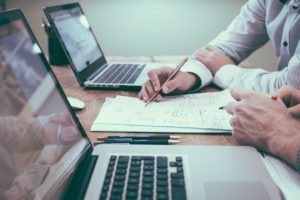 There have been many instances where campaigns have been more successful than originally prepared for. As a result, they encountered issues with meeting demand. They raised more than $3,000,000. 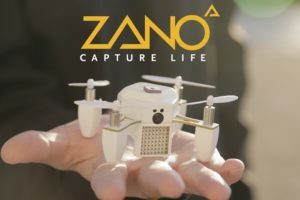 Their product was a palm size drone that would connect to smart phones to take pictures and videos. However, they simply did not have the resources or technical know-how of how to develop the product. Consequently, after a whirlwind campaign they ended up filing for bankruptcy. 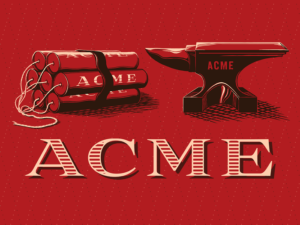 This product was based on the classic Wile E. Coyote and Road Runner cartoons. They raised $105,083 from 3,042 backers when Rob was only hoping to raise $5,000. Loukotka ended up having to hire a professional accountant and find suppliers who would manufacture and ship in bulk, just to meet the demand. From what was hoped to be an exciting way for fans to obtain some nostalgic memorabilia, a stressed Loukotka had to handle a huge number of back orders from not planning for success. In the end, Loukotka said that all the hard work was worth it. 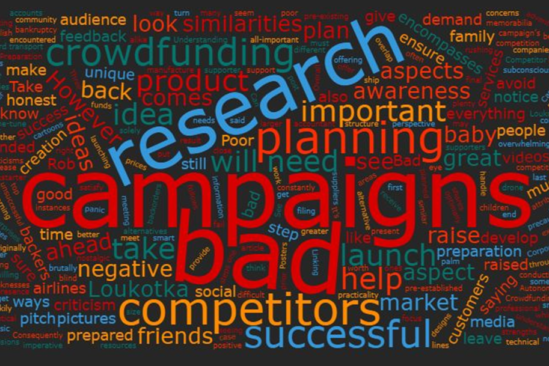 Another aspect that is attributed to bad campaign is poor research. While good preparation encompasses learning about everything to do with your own product and campaign, good research encompasses competitors’ products and campaigns. You must also research the most important people of any campaign: the backers (aka customers). Having an awareness of the competition throughout the market can help you to better hone and understand your own niche. Then you can structure your own campaign. You can learn from both successful and unsuccessful competitors alike. Take on board the positive aspects and ensure you take precautions to avoid the negative ones. Understanding competitors also includes alternatives. For example, the main competitors of an airlines would be other airlines. However, they still need to have an awareness of alternative transport services such as ferries and train lines. This is because they offer similar point A to B services which satisfy identical customer needs. Who are my customers and how can they be reached? What prices do competitors charge for their offering? Can you provide greater value? Overall, market research can help you to make informed decisions during your planning and preparation stages. Do you have one of those friends who constantly shares pictures of their children on their social media saying how beautiful they look? …but to you they just look like any other baby. This is because their baby is just that, theirs. It is their creation and so they have a subconscious bias. Just like a baby, someone’s idea is their own unique creation. Thus, seeing it in a negative light under criticism can be a difficult for some. Sometimes you just need to take a step back and view your project from another perspective. Ask your friends and family for their brutally honest opinions of your idea. Do they have any concerns or criticisms? See if there is overlap in the points they raise. If so, see how you can address them. However, friends and family may still be too close a relation for some projects. Luckily there are plenty of ways that allow you to pitch your ideas and receive honest feedback. 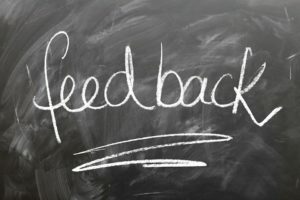 Medium have a great article on loads of ways to get feedback for your ideas, all of which are mostly free! Linking back into conducting research, it is imperative that you continue to remain unbiased when looking into competitors. It is often the case for people to put their own designs and ideas up on a pedestal and be unwilling to see the similarities between their idea and a pre-existing design. Again, take a step back and look for similarities. If you do notice any shocking similarities, do not panic! Take note of the aspects that are the same. Then when it comes time to pitch your own campaign, focus on the areas that are solely unique to you. This is what will give you the all-important competitive advantage that can help to give you an edge when it comes the launch. My final word of advice, is that you should not turn a blind eye to criticism. It is important to manage any problems that are brought to you before your campaign begins. If negative aspects are noticed by a smaller audience, you can be sure that a much larger audience will notice too.